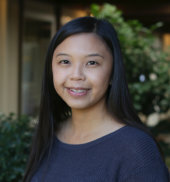 Dr. Owyang is a hometown native raised in Fremont, and attended Hacienda Elementary, Niles Elementary, Ardenwood Elementary, Walters Jr. High School, and Kennedy High School. Dr. Owyang left Fremont to attend college at the University of California, Davis, where he obtained a Bachelor of Science (BS) degree in Microbiology. He then moved to San Francisco to attend the Arthur A. Dugoni University of the Pacific School of Dentistry to obtain his Doctor of Dental Surgery (DDS) degree. Dr. Owyang decided to return to Fremont to practice and serve the community where he grew up, giving back to the town he considers home. 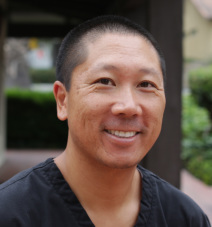 Dr. Owyang has attended numerous continuing education courses and seminars to remain at the forefront of restorative and cosmetic dentistry. He is a member of the Southern Alameda County Dental Society, the California Dental Society, and the American Dental Society. When not servicing his patients, Dr. Owyang loves spending time with his wife, Clariza, and their two children. He loves to stay active and healthy, and is also passionate about music, art, and photography. Dr. Owyang is also an avid football fan! Clariza is our office manager and handles all of our scheduling and insurance claims, as well as all the behind-the-scenes business tasks. She was raised in San Leandro, where she went to Arroyo High School. Clariza also has a Bachelor of Sciences degree from San Francisco State University, where she majored in Biology, and minored in Chemistry. Clariza is typically the first person our patients talk to when they call our office, and the first person they see when they walk in our door. She is in charge of all the patient accounts, and any help that is needed. When you’re ready to make an apointment with our office, give Clariza a call! Angela is our registered dental hygienist, and in charge of keeping our gums healthy and our smiles bright! 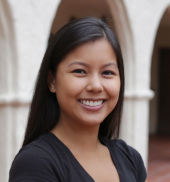 Angela grew up in Union City and attended Logan High School and Cal State East Bay. 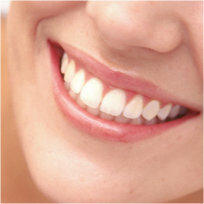 She also attended Western Career College to obtain her specialized training in dental hygiene. Angela is loved by all our patients, thanks to her charming personality and gentle touch. She always makes sure our patients feel comfortable during their cleanings, and helps them with any needed oral hygiene tips to take home. In her leisure time, Angela enjoys reading, running, and collecting high heels by Christian Louboutin. 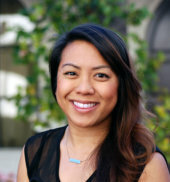 Laarni is our office dental assistant, and always ensures our patients feel relaxed and welcome for their appointments! She is also in charge of making our office run smoothly and effectively. 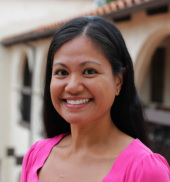 Laarni is originally from San Jose, where she obtained her education and certification as a dental assistant at Everett College. Laarni has a warm and friendly personality, and gets along with everyone she meets. She enjoys hiking and spending time outdoors with Buster, her American Terrier. Laarni is a also a big fan of reggae-Hawaiian music, and loves attending local live shows around the Bay Area with her friends and family! Rea handles all of our front office administrative duties, from scheduling patients, to processing insurance claims, to making sure any and all issues with patient accounts are handled. She’s got a lot on her plate, and she handles it all with the ease of a pro! With over 11 years in the dental field, Rea brings a wealth of experience when it comes to managing our office’s business affairs. She also has a background in dental assisting, having received her certificate in 2004 from Bryman College, formerly in San Fransisco. During her free time, Rea likes to spend quality time with her young family. She also enjoys camping and hiking outdoors, enjoying our beautiful Bay Area weather! If you’re ready to make an appointment with us, give Rea a call!